The following are 10 quotes and excerpts I have taken from two self-improvement books I have read recently. I have added comments and thoughts below the quotes to further explain them and express my opinions. Discipline is what separates a hobby from a profession. Most people like doing a wide variety of things: music, math, art, sports, anything. But many also opt out after things get hard, because they stop feeling it. In order to master anything that we do and become a professional, an arduous journey is required to fulfill it. We will never master something if we don’t compel ourselves to to go through that journey. It’s not just about the accessibility to technology. I’ve often read about the failure of having open-plan offices with constant meetings and interactions. We can only be truly productive when we have time to be alone with our thoughts to reflect upon all the knowledge that we know. 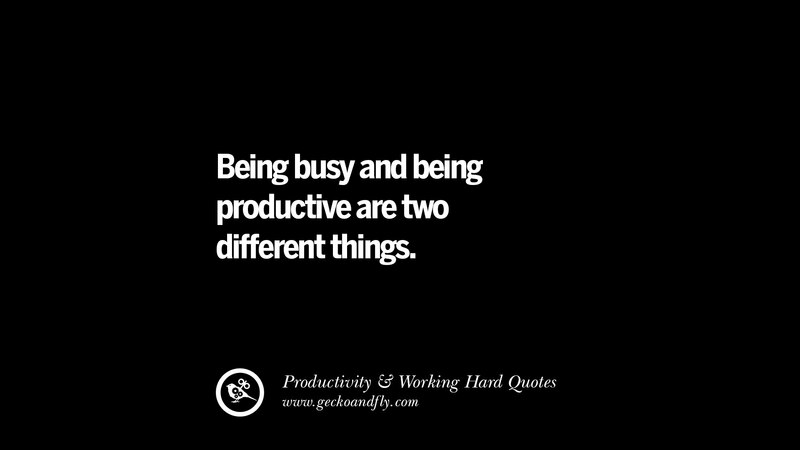 If we’re in constant need to be present in meetings, social media, and other interactions, it’s just as bad as multi-tasking is. When you switch to another task without having finished the first one, your mind will consciously or subconsciously linger on the first task, preventing you to focus fully on your task at hand. 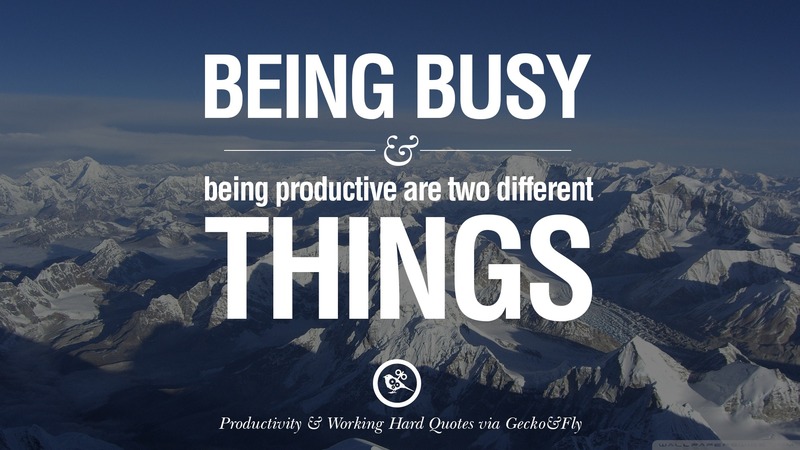 At the moment, it may feel more accomplishing to be doing several things at once, but in the long run, it’s just detrimental to your productivity. Firstly, most people that I know (young adult) consider themselves night-owls, and very few are natural larks. I feel that this is both genetics and social customs. As someone who has grown used to staying up late and finds it extremely hard to wake up early, I often feel that I gain ‘more’ by staying up late. Because most people around you are probably staying up late too. But the thing with mornings is, the earlier you wake, the more time you have to prepare for the day and feel good about yourself. Most people dislike waking up early, but many like the feeling of waking up early and having a full day ahead of them. Secondly, how you manage your morning is also crucial. If you wake up groggy, and remain groggy and lazy for the whole morning, the rest of the day will probably unfold similarly. If you have a set routine that gets you pumped up in the morning, you will only get more motivated throughout the rest of the day. But then, there’s the issue of exercising a morning routine/habit (and that’s a topic for another time). I can’t really see many people having issue with this, but I assume that many people do, especially at an age in which you are not sure of what you’re supposed to do and where you belong. But this quote basically summarizes your priorities. The things that top your priority list should be achieved, and if you let other things and/or people deviate you from the list, then you’ll never get your tasks done. You’ll be in this vicious cycle, balancing what you had set yourself to do and what others want you to do. The only one you’ll be harming is yourself. When you fail big-time, chances are that you will scrutinize over why you failed. what you could have done better, how you could have allocated your time better. Only then can this failure result in an experience, or else you will most likely repeat the same mistake in a different context in the future. Stepping out of your comfort zone can be dreadfully scary: You might lose something that you have been clinging onto all this time – a job, a friendship/relationship – in order to give room for something newer and better to take place, or you might simply be taking the risk of doing something out of your current routine – learn a new skill, commit to a class, move away from your current home. I tend to feel that my whole persona changes and evolves when I take on a new long-term task. When I have tried out activities that did push me completely out of my comfort zone, I have felt uncomfortable, uneasy and… not belonging. At the time, that’s how I primarily felt. But it wasn’t always so black and white, because ultimately I did learn about the experience, and so long as I’m aware of that, the experience is worth it. 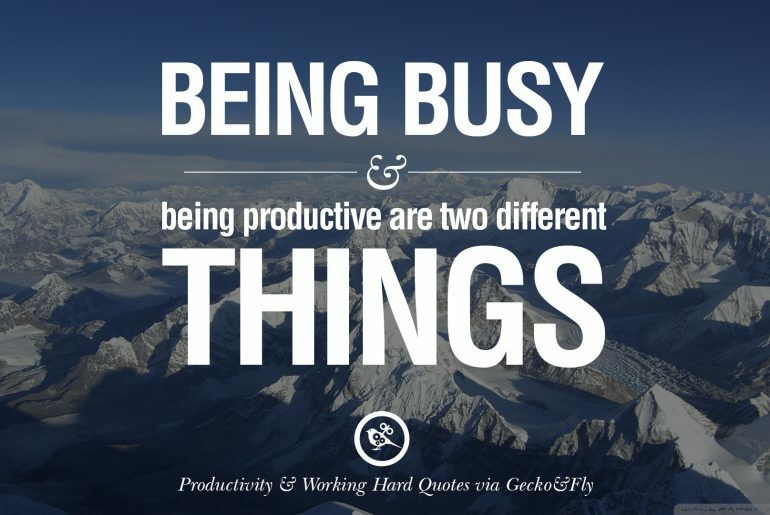 This is particularly difficult nowadays with the use of technology, which, though makes us more ‘connected’ 24/7, has made us more unfocused and undisciplined. The need to be ‘present’ for others – whether it’s in email or in social media – has overweight the value we give to our individual work in the present moment, degrading our overall performance. But at the end of the day, what you do and produce is essentially more important than decluttering your emails or tending to other people’s minor needs. Personally, I find this to be the biggest challenge, because memories always cling to your mind, regardless of where you are and what you’re doing. Every day, we have tens of thousands of thoughts flooding our minds. Many of them are negative. Meditation, exercise, reading, among other activities, are ways to enable you to reflect upon the present and future so you either let go of the past or use it as a means to move on. Regardless of our situation, there is always an opportunity for us to be honorable, compassionate and make a difference, no matter the scale. Only then do we recognize ourselves for our self-worth and become a humble person. Then, happiness will follow.